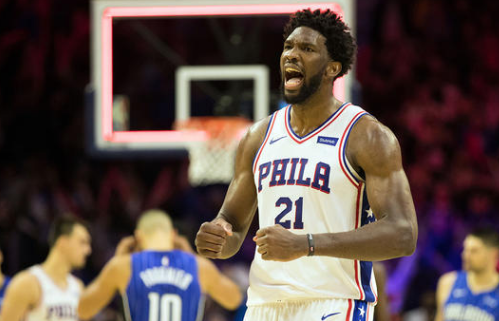 Joel Embiid in full Joel Hans Embiid is a Cameroonian professional basketball player who is currently playing for the Philadelphia 76ers of the National Basketball Association (NBA). He played one season of college basketball at the University of Kansas before playing in the NBA. He has nicknamed himself "The Process" in response to a refrain from 76ers fans during the Sam Hinkie-era to "trust the process". He is a very talented basketball player. Boston Celtics guard Marcus Smart cost himself a nice chunk of change after shoving Philadelphia 76ers big man Joel Embiid during Wednesday’s game. On Thursday, the NBA fined Smart $50,000 for his actions during the contest. 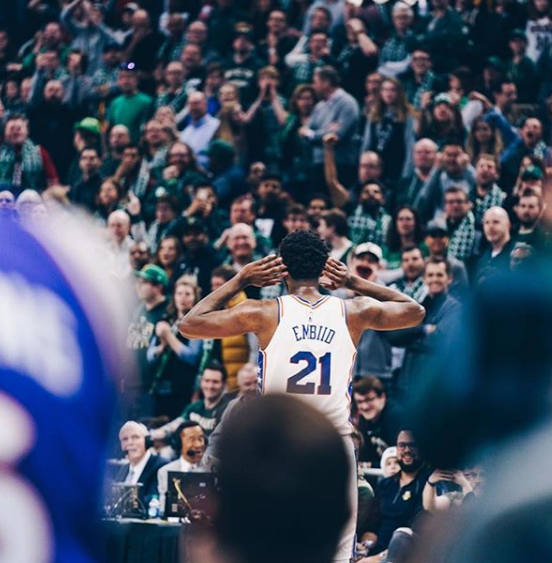 In the third quarter of the 76ers 118-115 win over the Celtics, Embiid set a screen on Smart that put Smart on the ground. The 25-year-old Smart got up, and immediately shoved Embiid in the back, sending Embiid to the floor. Smart’s fine is much higher than normal based on his previous actions. In 2017, he was fined $25,000 for making an obscene gesture during a game against the Chicago Bulls. In 2018, Smart was again fined $25,000 for shoving J.R. Smith. 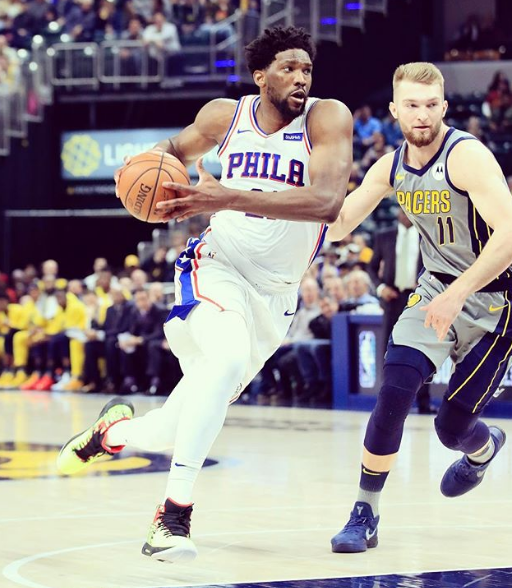 Where is Joel Embiid originally from? Joel Embiid was born with the birth name of Joel-Hans Embiid on 16 March 1994, in Yaounde, Cameroon. His nationality is Cameroonian and he is of Cameroonian ethnicity. He is the son of Cameroonian parents Thomas Embiid and Christine Embiid. His father was a competitive handball player and a military man. His religion is Christian. Concerning his education, he enrolled at Montverde Academy but transferred after his first year due to a lack of playing time. Joel then attended The Rock School, a Christian Academy in Gainesville, Florida. After that, Embiid attended the University of Kansas for one year. How tall is Joel Embiid? Joel has a tall height of 7 feet. His body weighs 113kg. Joel has black hair and black eyes. His other body measurement will be updated soon. In 2014, Joel began his professional basketball career. On 9th April 2014, he declared for the 2014 NBA draft. On 20th June 2014, he underwent surgery on a broken navicular bone in his right foot and was subsequently ruled out for four to six months. He was selected with the third overall pick by the Philadelphia 76ers and became third Cameroonian-born NBA player in history after six days. On 26th August 2014, he signed his rookie scale contract with the Philadelphia 76ers. He has played few games for Cameroon national basketball team. On 7th February 2017, he was named to the preliminary team to compete in the 2017 FIBA AfroBasket in the Republic of Congo. He scored 37 points and had a career-high 22 rebounds in a 118-115 win over the Boston Celtics on 20th March 2019. How much does Joel Embiid get paid? Joel has accumulated a net worth of 6 million dollars and he has an annual salary of 4.826 million. His source of earning is from his basketball career. 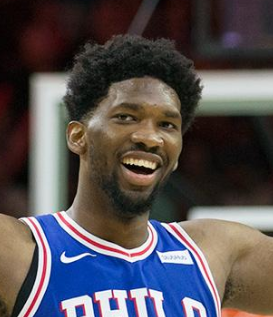 Who is Joel Embiid's Girlfriend? Joel Embiid is not married yet but he is in a relationship with Swimsuit Model Girlfriend Anne de Paula. In 2018, it was claimed that Joel was dating de Paula. The wasn’t the first time de Paula and Embiid were spotted together though. In early October, she was seen with standing next to the athlete when the team went overseas in the preseason to take part in the NBA China Games. As of today, the couple is living a happy life without any problems. They are enjoying their life a lot and they are planning to get married soon.